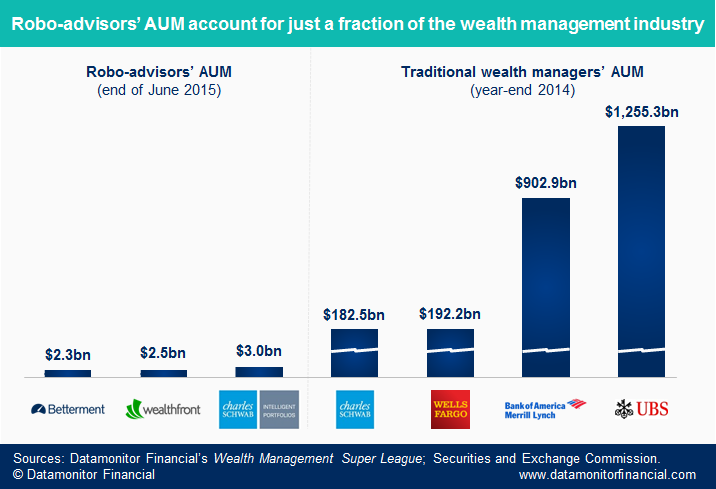 The digital wealth market has changed significantly over the past several years with the evolution of robo advisors. In our previous posts we covered the rise of Robo Advisors, how they revolutionize the wealth distribution, how wealth market responds and who are the top Robo Advisors in the industry. Worries that have come about are related to the performance of such platforms, and ultimately their profitability. Funding is continuing to roll in for some organisations, that have been able to secure valuations of $1 billion, but these worrisome issues remain. In fact, it is anticipated that many will not be profitable for at least the next 10 years. At the same time however, they have to invest considerably in advertising to attract the kinds of clients they seek. The robo advisors themselves seem rather confident, and Jon Stein has been reported to have stated that his organisation, Betterment will ultimately manage trillions of dollars for US citizens. Such organisations appear to be here to stay, and wealth management organisations have been having to respond accordingly. For example, a study showed that 71% have been focusing on upgrading advisors’ technology to compete with robo advisors. Also 50% of these traditional companies are building robo advisors to complement their existing offerings. However, industry pundits believe that robo advisors have a long way to go. They have to use the capital they have accrued to invest heavily in marketing to bring on board wealthy clients. Michael Wong, a Morningstar analyst is reported to have said that it could take at least 10 years to recover the funds that have had to be invested in marketing. Traditional wealth management firms already have capital and a reputation so they are not at such risk. Indeed, Wong has predicted a rather bleak picture for robo advisors, showing that they need to have a client asset level of somewhere between $16 and $40 billion to break even. This is a LOT higher than the current clients that robo advisors attract have. 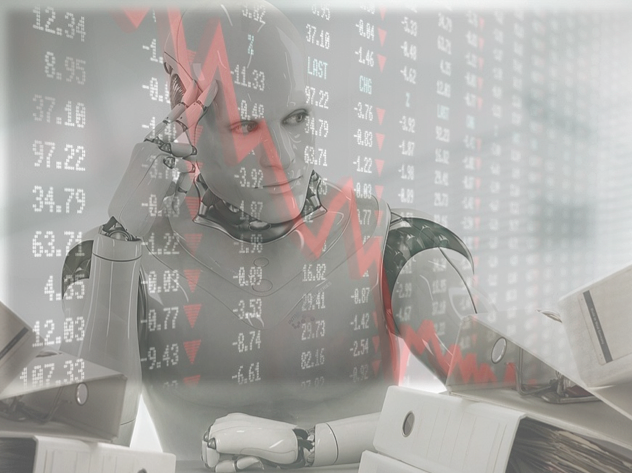 Taking one industry example, Celent analysts did some research which found that many more people than before are using self service options, namely robo advisors to get the help that they need. In fact, this is reported to have increased significantly over the past couple of years, with considerable take up of self directed tools. In fact, Celent reported that 86% of wealth management companies stated that their clients were using more self serve channels than ever before, such as online, mobile and social networks. A mere 11% said that customers prefer to use the types of channels they have been working with all along, that is, most of these clients still prefer to meet face to face to discuss their wealth management needs, rather than taking up robo advisors. Three per cent stated that clients’ aptitute for technology had not changed compared with the past. Although the above chart shows insignificant market share of Robo Advisors, there is opinion that their AUM might skyrocket to $255 billion in 2019. All of this indicates that disruption is happening, but that currently this is not moving forward at the same scale as disruption has occurred in other industries. For example, Google and Amazon created disruption on a very tremendous scale, but this type of disruption is not anticipated currently in the wealth management industry. Of course, this does not mean that disruption on a huge scale will not occur – maybe it will come about in a different format, and maybe robo advisors are not the disruptor that people initially thought they would be. Maybe they are a red herring. According to Din, in fact companies like Google or Amazon could be the disruptors in this market too in the end. This would likely have a far more dramatic impact if it was to happen because such companies have tremendous wealth behind them to invest in new products and technologies. They also have incredible core competencies in dealing with data, and would be able to potentially devise killer apps that could blow the competition out of the market. This is more disturbing a prospect than the current robo advisors have been to date. Is Private Equity In Emerging Markets Worth The Risk?